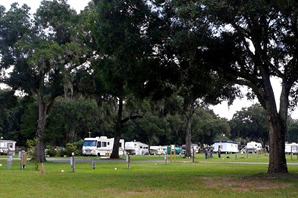 At this age-qualified RV resort you’ll spend your time enjoying the many amenities and activities we offer. Take advantage of the large heated pool, shuffleboard, basketball, volleyball, horseshoes, fishing pond and rec hall with activities like potluck dinners, social events and bingo. 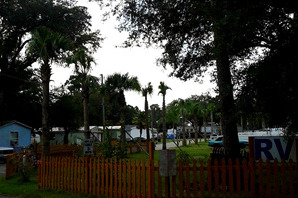 We are situated right along the Alafia River, a prime spot to stretch your legs. This resort offers easy access to all of the wonders the Tampa Bay area has to offer. Resort amenities include waterfront sites, a spectacular clubhouse, heated swimming pool, whirlpool/spa, lake and fishing pier, library, rec hall, clubs, billiards, shuffleboard, horseshoes and exciting on-site activities. We even have an exercise area for your dog.